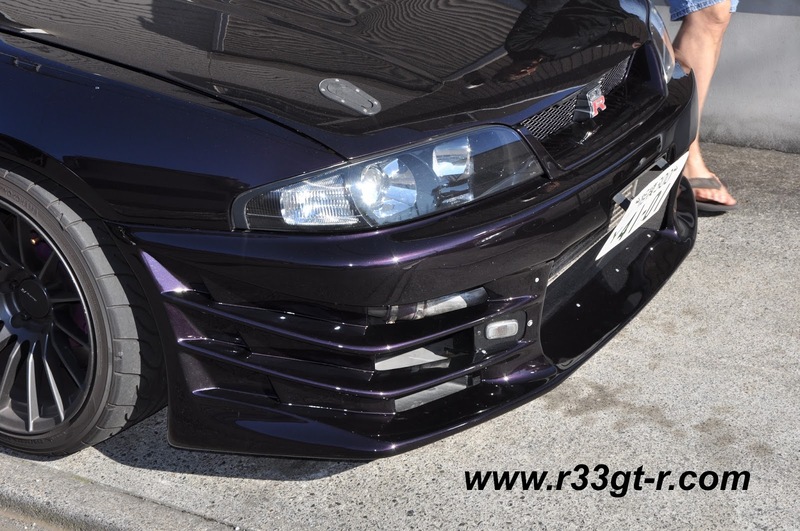 So recently my friend and fellow R33 GT-R fanatic Thomas Mangum invited me to drive his Midnight Purple machine. I jumped at the chance – it would be a rare opportunity to drive a high spec car (and one with the HKS V Cam, too!) and compare against mine. When I pulled up to his house, I initially took some photos before jumping into the driver’s seat. Thomas seemed embarrassed by how dirty his car was, but that couldn’t be helped as it’s parked outside and as a daily driver a car cover doesn’t make sense (for most people...). Nevertheless the car was in good shape, nothing a nice wash and wax wouldn’t fix. Purple disc rotor caps to match the Midnight Purple car. Nice touch. F50 Brembos with Biot 2 piece rotors! Wheels are ENKEI RS05RR in 18x11J(!!!) with offset of 16. Essentially this is a custom made front bumper - I've never seen another quite like this. I recall when Thomas asked me if I had ever seen this front bumper before when it came up for sale on Yahoo Auctions a few years back... obviously the answer was no. It seems to be a very clever design, incorporating cooling abilities along with the front canard aerodynamic effect. It apparently was a one-off design for one of the JUN Auto racing cars [thanks to our friend Matt Rearick who remembered seeing the same item on Yahoo, and the description!] which meant that Thomas had to get clever to incorporate turn signals in order to make it street legal. AutoSelect Tower Bar. ARC Cooling panel (no longer made). I'm proud to say I did my bit to contribute to this engine, as the fuse box cover was something I gave Thomas a long time ago... Note also the relocated power steering pump fluid reservoir. Aha! V Cam. I can only dream at this point. With a NISMO surge tank too! Yep. I was eagerly looking forward to how differently this car would drive with the V Cam, given the HKS 2530kai turbos the car is running. Custom carbon piece to direct air towards the intercooler. If well done, stuff like this adds to a car's allure and personality. Another interesting tidbit - oil cooler located here! 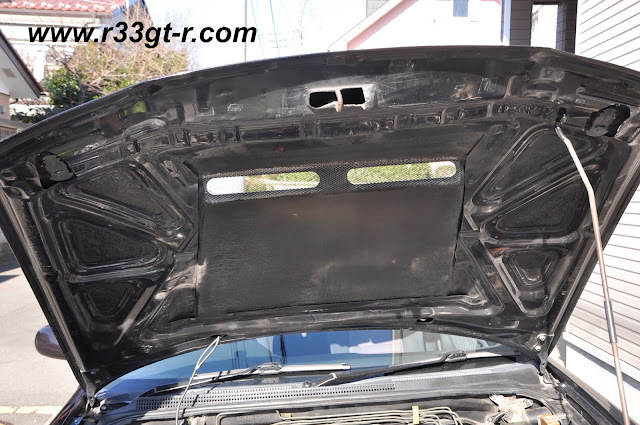 Due to the design of the bumper, Thomas couldn't place an engine oil cooler in the usual place (that is, under the left front lights in the front bumper). 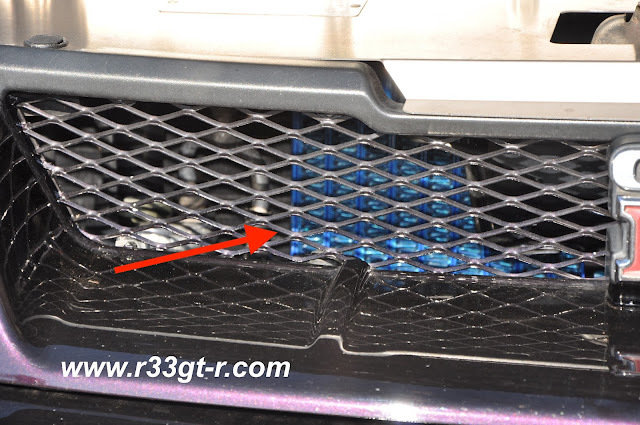 So naturally, he put this Greddy one up front behind the grill to ensure lots of airflow. Reminds me of the old NISMO set up (albeit that was underneath and behind the front lip spoiler). Genuine NISMO dry carbon 2 piece blade. Looks like the previous owner liked to advertise that fact. 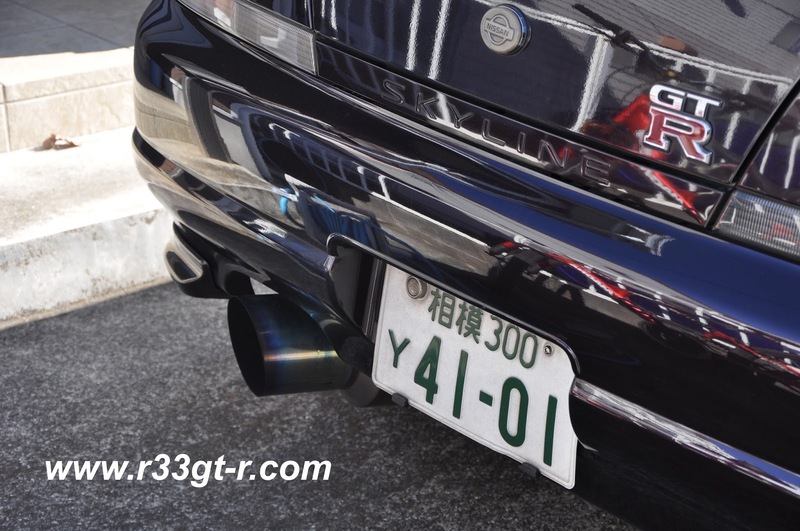 Thomas' car is equipped with this Amuse R1 titanium exhaust, which obviously maximizes exhaust flow and doesn't even pretend to really have any "muffling" capacities. This thing is LOUD! This is all managed by a custom flashed ROM that piggybacks on top of the OEM ECU. Thomas estimates about 600 horsepower. Is that a midnight purple engine cover I see?? 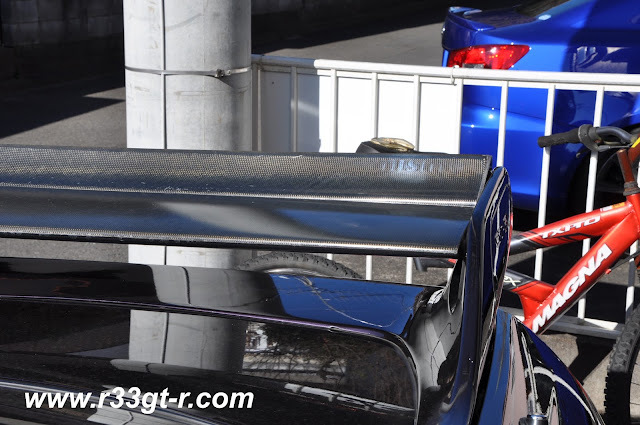 Is the rear spoiler a 400r item or some other nismo part?? Nice article/piece, more of this kinda thing would be cool, I'm sure you know loads of nice r33's in japan. Its not like the rest of the internet gives a s**t about the r33 so would be great for you to keep them alive for those of us who DO give a s**t about them. Yep Thomas is really into making sure the "purple" in Midnight Purple gets stressed. The rear spoiler is a NISMO part, part number 99993RN595 I think. Actually I don't see many R33s in Japan either. As they were very popular overseas, and given their much more limited production numbers than the BNR32, I see more 34s and 32s on the road here. Although, I will say that most of the 33s I DO see are in incredibly good condition. And yes, that's the point of this blog - to bring some love to this car, stinks to be the middle child sometimes. Check out the Facebook page for more love. Awesome! Can't wait to read the next part. Well the bumper when I looked at it, before it was painted, was one solid piece - it had been molded that way. So if modified it was a good job! No WAY I'm going to drive your baby on the streets of HK my friend! You can just tell me how she drives lol. Could be that they molded the bumper in one piece, but their inspiration was clearly the top secret G-force kit. One thing that i find strange is that he is running V-cam but no F-con, i know it isn't mandatory because you can use those old valcon controllers. But what i noticed with my BCNR33 is that i got a lot more torque and response when i switched from JUN reflash ECU to F-con 3.24. I've always liked that color, an acquaintance of mine years ago had an S14 in that or similar shade. 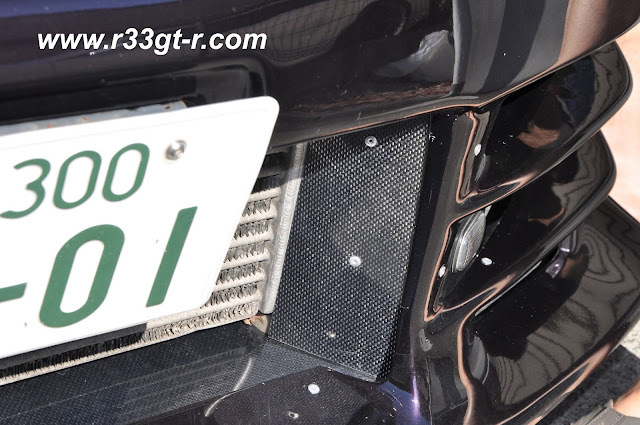 On those air deflectors, not only do they add to the personality of the car, but ducting like that helps the efficiency of the intercooler quite a bit. Have 18's on my BCNR33 now. But it has a full top secret kit, makes the wheels look rather small. And a set 19's will also make speedbumps more manageable.